Beautiful Murthis with Parks will be scattered throughout Mount Soma. 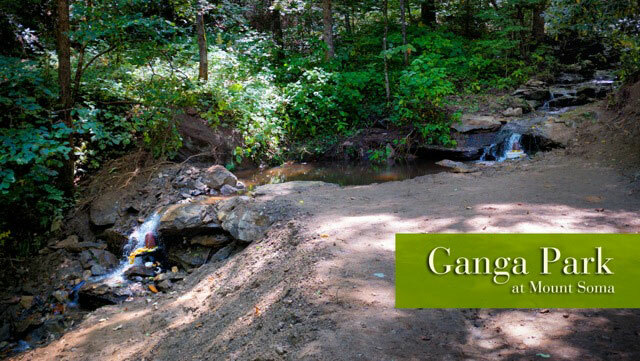 Each park will have a different theme, depending upon the Murthi, and will encourage people to enjoy the ambience and natural beauty of that divine form. 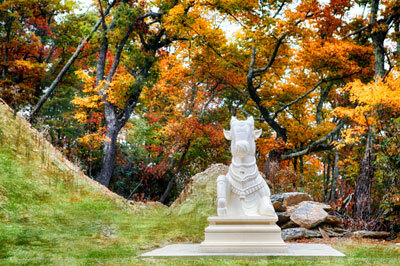 A 14′ 9″ statue of Sri Hanuman, in solid black granite, has been installed at Mount Soma. After five days of powerful Vedic ceremonies from May 29 through June 2, 2014, the installation of Sri Hanuman is complete. 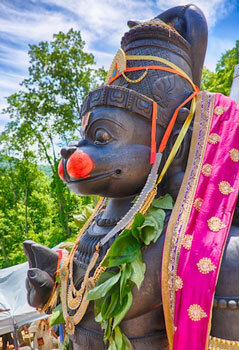 Sri Hanuman provides relief for those affected by Saturn, bringing health, power, and blessings to all. Mahanandi was handcrafted by the shilpis when they were here to work on Sri Somesvara Temple.